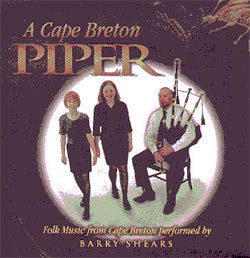 Music from Cape Breton performed on Highland bagpipes, Smallpipes, guitar and piano. Included on this CD are several tunes from my collections of pipe music. Shipping within Canada $4.00, USA $10.00 (overseas orders please inquire).